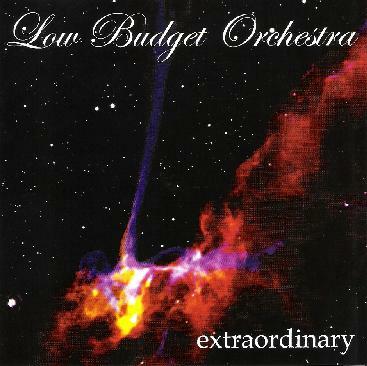 Low Budget Orchestra - "Extraordinary"
This is the one man project of Mikko Muranen. This is very much a guitar based record in the progressive rock vein but with all electronic drums. Besides some very cool guitar it features some fantastic keyboard soloing as well. Mikko is quite an accomplished musician. Mikko has written a very extensive web page describing a lot of details of his thoughts on each and every song and certain elements that went into the project. There is a lot of lead guitar and certainly he is influenced by people like Steve Vai, Frank Zappa, and Eddie Van Halen. The guitar sound is quite heavy metal at times but that is fine. He has a long list on his web site. In many ways, this all instrumental music is begging for some vocals. The long stretches of guitar riffing over and over create a perfect structure for a vocalist. There are 10 tracks averaging around 5 minutes each. I have really enjoyed this record a lot and if it had real drums I would give it 5 out of 5 as the music is excellent and I enjoyed taking each and every one of Mikko's musical journeys! For more information you can visit the Low Budget Orchestra web site at: http://www.lowbudgetmusic.com.